This year, the 2017 Interior Design Show came back with a full force. For the first time in several years, this pinnacle event to showcasing the up-and-coming trends of the season finally has lived up to it’s name. 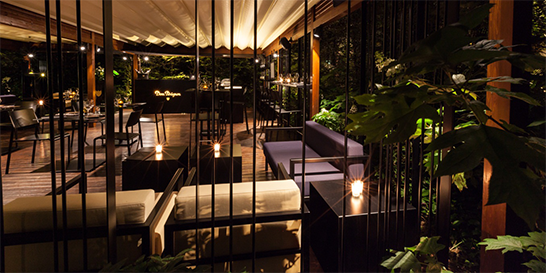 For this summer, Dom Pérignon and the Bulgari Hotel Milan have realized a unique opportunity for all the Champagne lovers: the Dom Pérignon Lounge & Raw Bar, situated in the secret garden of the Hotel Bulgari, Milan. Cassina Contract realized the complete Fit-Out and supplied all custom-made loose furniture for the Dom Pérignon Lounge & Raw Bar, highlighting both the sophisticated attitudes and philosophies of Dom Pérignon and the Maison. The Bulgari Hotel Milan is situated in the cultural and commercial heart of the city that, behind its austere façades, still hides unexpected courtyards and green spots. 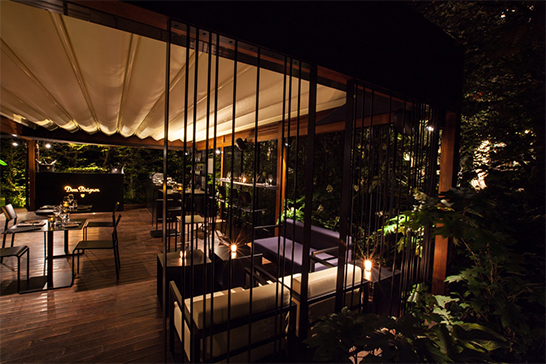 One such space is the Bulgari Hotel’s 4,000-square-meter private garden, a natural extension of the nearby Botanical Garden, a restorative oasis of serenity and relaxation in the midst of Milan’s busy pace. Characterized by a casual but still chic atmosphere, the Dom Pérignon Lounge & Raw Bar, the only one in Italy, represents a new location designed to offer the chance to taste the prestigious collection of Dom Pérignon Champagnes –Blanc, Rosé and P2 Deuxième Plénitude – and 1990 OEnothèque and 1969 OEnothèque as an exclusive, perfectly combined with the refined culinary proposals by Roberto Di Pinto, executive chef of the Hotel. 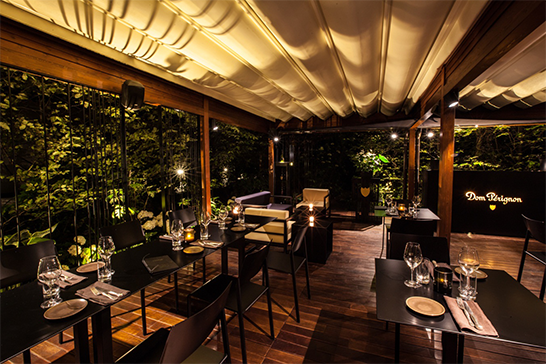 The new Dom Pérignon Lounge & Raw Bar is hidden by a tall hedge of red beech, that embraces the space and reveals a cozy as well as exclusive ambient, perfectly in accord with the unmistakable Bulgari style. The space is surrounded by thin dividing panels, designed as an intersections’ game of vertical frames and rods, through which the light can easily filter, revealing a soft atmosphere, absolutely welcoming at every hour of the day. To perfectly recreate the Bulgari allure, Cassina Contract has chosen to realize all the custom-made furniture (tables and chairs, the bars, the DJ console, the welcome desk) in black. The fabrics chosen for the seats’ upholstery are black as well, with some gold accents, to underline the Dom Pérignon style, and to brighten up the ambience. San Juan Grill by Kob&Co. The space is divided into six areas, these consist of the terrace and entrance, bar, private dining area, grill area, bathrooms and kitchen/administration. Each zone is defined by suspended elements which accentuate and determine the space in three visual dimensions highlighted by with contrasting materials.